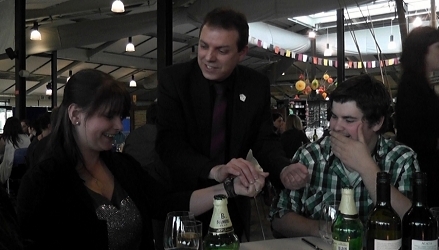 Russ Styler's combination of amazing sleight-of-hand magic and humour are the key reasons that Russ has become a most popular, sought after choice of magician for West Midlands events and parties such as weddings, corporate functions, adult birthday party celebrations, anniversaries etc. 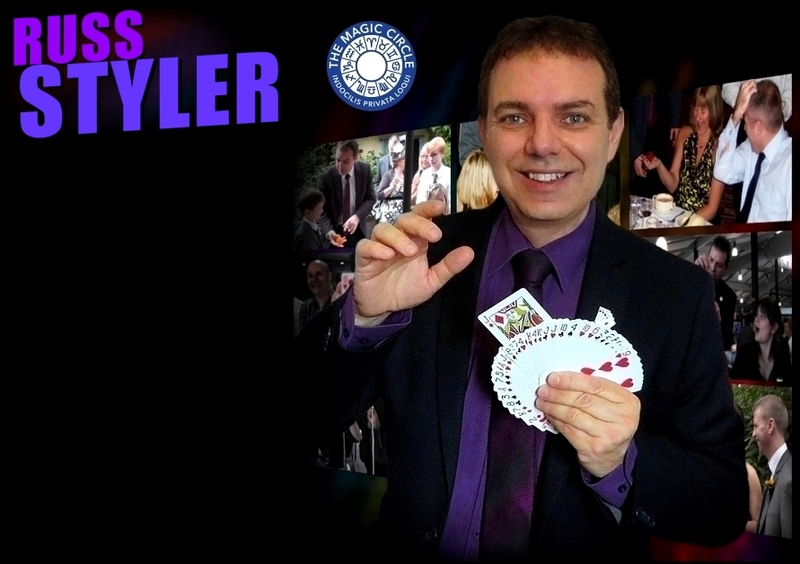 Over the years Russ has performed at countless hotels and venues throughout the region and UK wide and has also worked summer seasons as close-up and cabaret magician in the UK and Scandinavia including many stints as resident magician at various well known UK establishments. Russ is also member of the Magic Circle, The International Brotherhood of magicians and Equity. Get in touch now for further information or a quote and maybe Russ will be there to make your event or party an even more magical and memorable one! 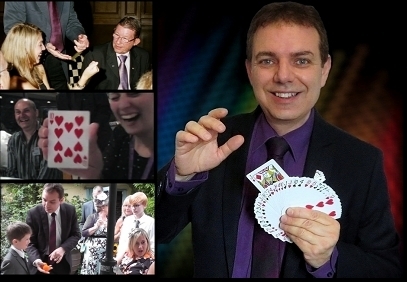 Professional magician - for table magic, walk-around, mix and mingle magician or shows. Magician for hire West Midlands. Also ideal for summer balls, dinner parties, banquets. Book for any event, near or far, midlands and UK wide.